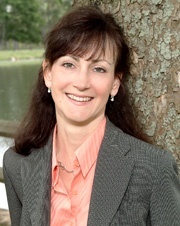 Mary Ann came to work for Court Square Title in 1995 and assisted in its first real estate settlements. Mary Ann graduated from the University of North Carolina at Greensboro in 1983 and from The National Center for Paralegal Training in Atlanta, GA in 1985. She is a certified real estate paralegal and a licensed title insurance agent. Her experience includes working for attorneys in the State of North Carolina in the eighties, closing and underwriting for mortgage lenders for ten years in Richmond, VA and developing the settlement practices and procedures for Court Square Title. Mary Ann lives in Ivy, VA with her husband Jeffrey and two daughters Chelsea and Jessica. Mary Ann’s leisure time is spent riding bikes, hiking, reading and watching her daughters play sports.